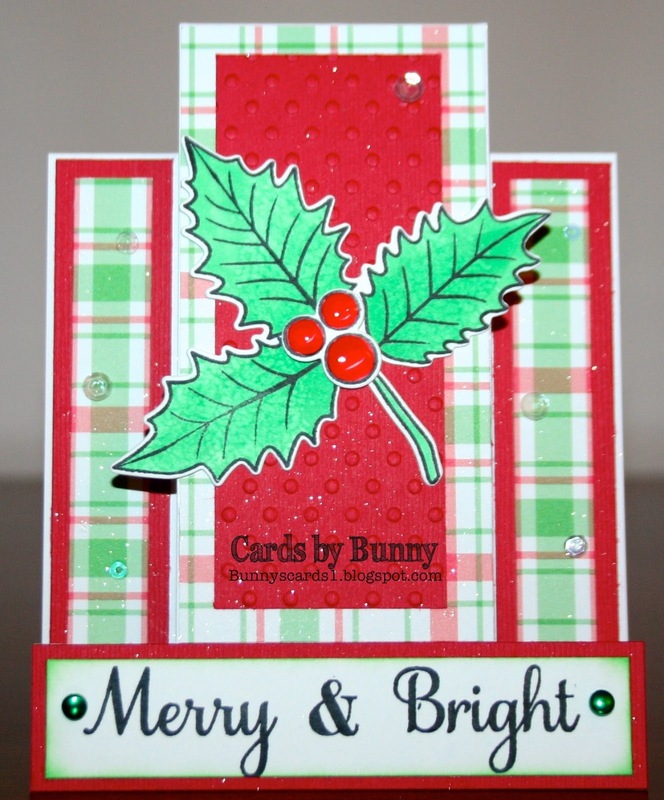 I love plaid AND holly, so this is a winning combination to me, Bunny, such a nice bright design for Christmas! Thanks for joining us at the Simon Says Stamp Wednesday challenge! Love this card! Thanks for joining us at ABC Christmas Challenge. Thanks for sharing it over at the Addicted to Stamps Challenge! Hi Bunny, this is a beautiful card. I love your brightly coloured design with the bold Christmas sentiment. Thank you for joining us this time at ABC Christmas Challenge. Stopping back by to say Thanks for sharing over at ABC Christmas Challenge! Such a pretty design and GOrgeous papers too. Thank you so much for joining us at ABC Christmas Challenge. Super fun, I adore plaid!